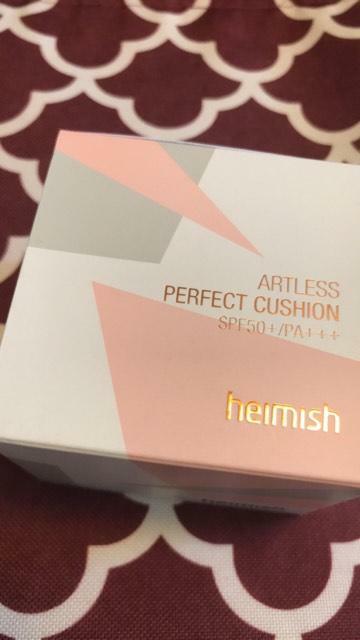 Radiant your Skin Care with the [heimish] Artless Perfect Cushion SPF50+ PA+++ (Refill Included)! we aim to provide you best korean products to take good care of your skin, including Cosmetics, Makeup, Cushion. Hydra Cushion online. 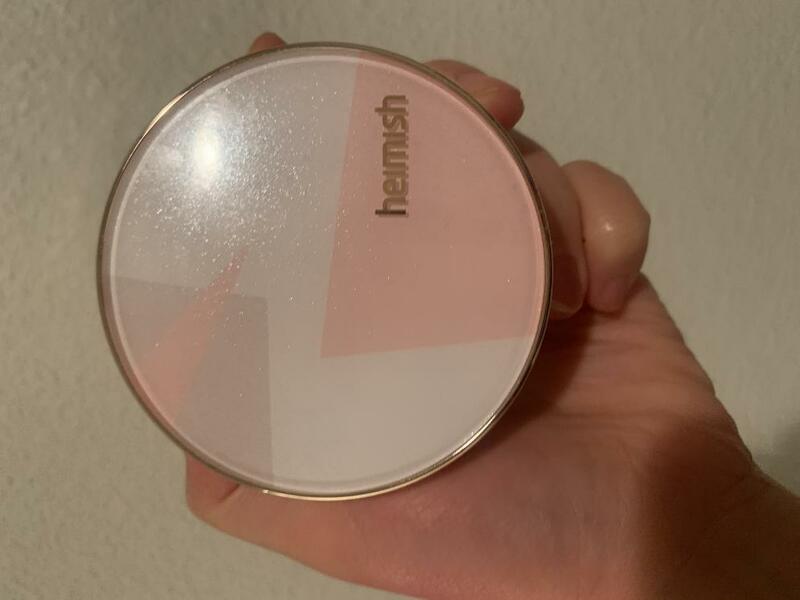 Seemingly effortless moistly covering cushion compact It forms a moisture-locking membrane that gets firmer the more it is padded, leaving skin smoother. ▶ Naturally moist and glowing cover √ Of a firm, sticky cushion texture with a moisture packing system full of moist glow, it naturally and smoothly covers skin blemishes. ▶ Bright skin tone without darkening even if re-applied √ Even if repeatedly applied several times, it gets lightly absorbed without darkening, leaving skin bright and clear all day long. 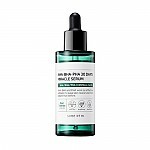 ▶ Formula that protects skin from a harmful environment √ Thyme flower, mint leaf, rosehip fruit, and other compounds form a thin moisture-locking membrane that protects skin from harmful matter like minute dust in the air. At the last step of skin care, apply appropriate amount around your eyes and spread thoroughly. meg…@gmail.com Bought this for my friend and matched her pretty well. Looks like a standard N23 korean color. 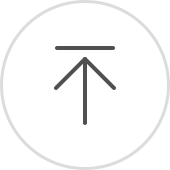 zla…@yahoo.com I got great price. THe BEst brand and the best cushion. perfect for my skin. joh…@gmail.com I like this when I don’t have to go out for a long period of time. It is moisturizing and offers light to medium coverage. bor…@gmail.com Perfect cushion. Including refill. fit…@gmail.com the color matches my slightly tan skin. It covers blemishes and light wrinkles well.